Today’s guest is HUGE! Ken Corsini is getting his own show on HGTV called Flipping the South. It airs next Thursday, May 12th, at 11pm Eastern Time, so set your DVR right now before you forget. Because after this interview you’re definitely going to want to see this guy in action. 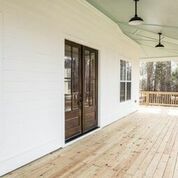 Ken is on the podcast today to talk about the real estate scene in Atlanta and how he managed to score a spot on HGTV. He’s been in the game for over a decade now, and he’s learned a thing or two about flipping houses. His unique perspective on flipping turnkey properties isn’t your typical fix-and-flip situation. 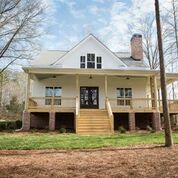 Ken and his wife work together to find one-of-a-kind, off-market properties, including old farm houses, that they then transform into move-in ready homes for eager homeowners. He did 100 flips in 2015 alone! So if you want to get in on his profit making strategy, listen to Ken break down a few life lessons. The biggest lesson Ken and I talk about today is adaption. We all know that keeping up in this market is sometimes impossible. You have to learn how to stay on your toes if you want to keep up with all the new technology, housing options, and real estate law. Ken talks about how to read the right signs and follow the right trends so you can start incorporating a little modernity into your business plan. He’s like a breath of fresh air! Ken knows that the best way to be successful in real estate is to keep learning as you go, and luckily for all of us, this career is a series of lessons. Because when you learn to adapt now, you’ll still be able to keep up with the market in 12, 24, even 36 months from now. Ken is such a smart guy. We know each other from our Collective Genius mastermind group, and I am so excited to have him on today. His lessons in real estate, new construction, and in life are really going to get you motivated. Ken is the kind of guy that knows that this life is temporary, and he’s on right now to remind us why we’re really in this business! 7:00 – What is the turnkey market like in Hotlanta right now? 7:47 – Who is Ken’s biggest investor influence? 9:00 – What was the breaking point for Ken’s career? 10:48 – What’s it like to film with HGTV? 16:22 – The biggest lesson Ken learned that’s kept him successful – Adaption! 27:15 – Ken has never used a business coach or mentor! 28:45 – What gets Ken out of bed in the morning? Cory: What’s up people? This is Cory Boatright. I’m your host to Real Estate Investing Profit Master’s Podcast series and also the founder of realestateinvestingprofits.com. I hope you’re having a phenomenal fun day. I have an incredible interview with Mr. Ken Corsini he’s out at Hotlanta, Atlanta, Georgia. Actually, I need your support. Now, listen up, we all need your support on this. Ken actually has a show that’s getting picked up on HGTV. The pilot comes out May 12th 2016 at 11PM Eastern Standard Time. It’s called Flipping the South. I want you to put that in your calendar and support his show because the more people that watch it all the way from the start to end, because they actually record the ratings and they actually judge and all the analytics are looked at on your DVR if you switch another channel. It’s pretty fascinating. Basically, he needs as much support as you can for this show to be picked up as a series. Just like Fixer Upper or Flip or Flop, we want his show to be picked up as well. You’re going to love this interview because he’s doing something I’ve never heard anyone doing. I’m going to keep it a little surprise for you because he’s doing fix and flips but they’re not the kind of fix and flips that you would normally think of. He’s doing a little spin on it. That really comes down to really incredible marketing. He’s a smart guy. I met him in Collective Genius, our incredible Master Mind, good friend Jason Medley that started that over five years ago. Basically, he is doing some big things out of Georgia that you’re going to want to pay attention to. I love this interview so much. He’s such a down to earth person. I want to support him. I want us to come together and make sure that you watch Flipping the South, May 12th 2016 at 11PM Eastern Standard Time. If you have kids, make sure that you just plan on it right now. 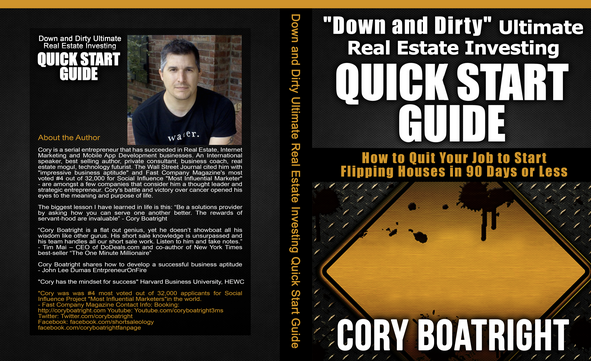 By the way, if you haven’t texted the word profit to 38470 to get your Down And Dirty Ultimate Real Estate Investing Quick Start Guide, do it now! Do it now! It’s huge. Donald Trump would say, “It’s huge, man!” We’ve got thousands of people to do that and it’s because people love it. You can get it for free. We sell it on Amazon, but you can get it for free if you text the word profit 38470. Tell me what you think about it make sure you leave a comment here on our podcast review. Also, if you’re interested in taking your business to the next level by doing some coaching, we offer some strategies sessions that are called Phone Coaching Strategy Sessions. 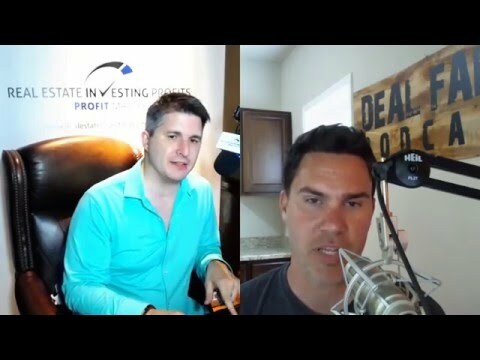 What you can do is go to realestateinvestingprofits.com/podcast, at the very top you’re going to see a little link that says coaching. I want you to check this out. I want you to check it out and see if it’s the right fit for you. You’re going to watch a really short video on there and it might give you a couple of ideas and give you a couple of questions. We’ll see if this is the right fit for you because mentoring is one of the fastest ways, you hear it on every single interview, it seems like that it’s one of the fastest ways to get you want to go faster. At the end of the day, time is not recyclable and I know that you have goals and maybe you’re not there yet, maybe you can get there faster. Coaching is definitely one way that really helps do that. Alright, here is Mr. Ken Corsini. Make sure you pay attention to what he’s doing, how he’s flipping these properties. I’ll put pictures in the show notes but make sure that you also pay attention onto what he’s doing and go ahead and support HGTV on his time at 11PM Eastern Standard Time, May 12th 2016. Alright, here we go. Thank you again, I appreciate you so much. Here’s Mr. Ken Corsini. Ken, my man, what’s up? Ken: How are you Cory? Cory: I’m doing well. What’s up in ATL? Ken: Hotlanta. It’s really hot. It’s crazy. Cory: Hotlanta. Well, there are so many cool things going on with you right now. We jokingly kid back and forth. I call you Ne-Yo but you look like Keanu Reeves from Matrix, but we met each other in The Collective Genius, another fantastic Master Mind that I talked about. Lots of guests that come on here are from Collective Genius. One thing we talked about is our Profit Master strategy. We talked about what’s really working in your business. I want to spend a little bit of time, also talking about kind of your big surprise that’s really going on with HGTV. I really like to get the listeners behind on supporting you on that. I think that’s really important. That’s coming up on May 12th. I don’t want to spoil that, I’ll let you talk about that here in a second. Before we get into it, why don’t you spend just a little bit time on talking about what is your area of expertise right now in real estate and what made you want to get involved in real estate investing? Ken: Sure. I’ll take you back to when I got started in real estate which was in 2005. I’ve been at this full time for 11 years. I got in real estate just because I really enjoy the whole idea of buying and selling for profit, I always loved real estate. I was in a corporate job at that time. Actually, Marsh & McLennan had a really good company with Fortune 500, a company Marsh & McLennan. I’m doing some tech consulting with them but knew that the corporate route was not for me. I was looking for an exit point. Cory: Why did you know that that wasn’t the route for you? Did you just not like the way the structure was or did you just not like the attitude? What turned you off? Ken: Honestly, I thrived in that environment. I actually was the Assistant Vice President at 27. I was doing really well, but I’ve always been an entrepreneur and you know because you’re an entrepreneur, if you want to be doing your own thing, you want to be doing your own thing. You don’t want to be working for somebody else. Cory: I was going to say how much did you got to keep of the $250. How much did you get to keep? Cory: That’s smart. That’s really smart. Ken: Real estate was just a really natural fit for me. A lot of entrepreneurs find their way from other businesses and industries in the real estate because it just fits so well for entrepreneurs. Cory: What area are you focused in right now? I think it’s a good time to talk about a little bit of the surprise for the HGTV. Ken: Sure. I’ve done turn key, if you guys are familiar with the turn key. We fix and we rent and we sell them to investors. That’s been our business for the last 10 years. Now, really we’re more just straight retail where we just fix and flip and sell to owner occupants. Atlanta is a very hot market right now. Really, that’s our primary business model. 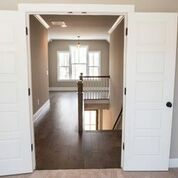 We do some wholesaling, we do some new construction. We just do this one thing really well because we do a little bit of everything. Cory: How many of those are you doing right now, Ken? Ken: The last three years, we did over 100 houses a year. Our target is to do that again this year. Ken: Every year, we try to get smarter about houses. Do the higher profit deals maybe the same value for high profit deals. Ken: After this year, it’ll be a little bit heavier. Cory: That makes sense. Who was one of your influences when you got involved with investing? Ken: You know who I was listening to before I left my day job was Carleton Sheets, isn’t that funny? Ken: You ever heard of Carleton Sheets? He was the no money down guy. Cory: I did. He was the guy that put all the little tiny ads in the paper. Ken: Yeah, the whole course, in the CDs, in the tapes. No money down. I was listening to him just soaking it up and absorbing the concepts. Not necessarily implementing what he was teaching, because it was all outdated, just learning the concept. It got me more excited and more excited about real estate. Ultimately, he inspired me to get into real estate. Cory: That’s pretty funny. I went through his no money down course too. Is he even doing real estate anymore? Last time I heard, he’s in Florida. Ken: He’s in Florida. That’s a good question. So many of his strategies are outdated, they are really old mortgage products and what-not. He was old back then. I bet he’s pretty old now. Cory: He’s got to be pretty old, pretty seasoned guy. Cory: I love Chick-fil-A. Chick-fil-A is great. It’s amazing. Ken: I worked at Chick-fil-A all through high school. They were one of my clients at Marsh. I love Chick-fil-A. I was like, “Do I get into the fast food business or do I ?? ?” I don’t see myself supersizing people for the rest of my life. I think I will go into the real estate. I feel like I needed to get away from the corporate world. I needed to figure something out. Thank God I went to the real estate. Thank God. Cory: Alright. I want to talk about your Profit Master Investing strategy. Tell us about what’s going on with HGTV and kind of how that all happened and what you really need everyone to do to make this go the way you want it to be. We jumped on a Skype call, me and my wife, they recorded, they button it up, they sent it to HGTV, and they love it. Next thing you know, they’re scheduling the sizzle reel. We didn’t know what a sizzle reel was. Cory: It’s like a one minute little thing. Everything you can do in one minute. Ken: It lasts for four minutes. They sent a crew and shot with us for two days. Cory: Wow. Two days to four minutes. Ken: That’s what we’ve learned. You shoot so much video and it condenses down to just a small fraction. They like the sizzle reel. That was the summer. They approved a pilot. In the fall, me and my wife shot a pilot. We shot a pilot over the course of probably two months, 10 days of filming. They’ve been in the process of editing it, apparently they like the pilot a whole lot. They’re going to air the pilot on May 12 at 11pm, it’s called Flipping the South. We’re trying to get as much hype and excitement about it as we can. Cory: That’s awesome. Flipping the South. 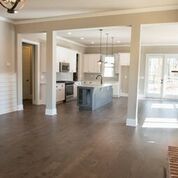 It’s going to be before or after Fixer Upper or Flip or Flop? Is it Eastern Time or is it just any time during their own time zone? Ken: It’s 11 PM Eastern Time. Ken: Thursday is the Flip or Flop night so it’s probably going to come on my guess will be after Flip or Flop. Cory: Okay. It’s mother’s day, right? Around there? Ken: That’s a good question. It’s something I need to look up quickly. Cory: I’m just trying to somebody can remember by but it’s going to be pretty close to either that weekend before or after. May 12th, it’s on HGTV, it’s 11PM Eastern Standard Time and it’s called Flipping the South. Specifically, you said that once you start watching it because you learn some of the ways that they do metrics and analytics with the TV stations is that you want to start watching it all the way to the end where it actually hurts you. Ken: That’s right. That’s what we’re told is that they don’t do focus groups anymore. In the old days, they would get a group of 12 together and say, “What do you think?” Now, with everybody owning a DVR, it’s like they’ve got a built in sort of Nielsen Ratings. Ken: They watch for a couple of things, they watch to see people watch it all the way through, they watch to see people record it, and then if you record it, do you watch it in the first three days or in the first ten days? Cory: Wow, they know all that. Ken: It’s crazy. It’s a little scary actually. But they’re tracking—even if you watch it a multiple times, if you record it and watch it twice, that’s a positive thing. Cory: Watch it 10 times, or 20, or 50, whatever you want to do. Support Ken out by doing this. I’m definitely going to do this. I’m telling everybody I know about it, put it on my social media channels here, and people on our email list, and just really want to support this and help you as much as we can to drive that support because I know it’s going to be a big deal. That could be life changing for you, Ken, if this thing starts to blow up. Cool, very cool, very excited for you. Congratulations on that. You and your wife Enida are the partners on that. Ken: That’s right. She’s an amazing real estate agent, awesome interior designs. She’s been an absolute joy in the world. Cory: Ken, can we talk about—you fix up farm houses to kind of be more modern, is that kind of the idea? Ken: We build new construction farm houses. Ken: Yeah. With that sort of our niche here as well. 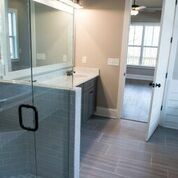 Some of the construction stuff that we’re doing north of Atlanta has been selling really, really, well. Very popular. It’s that modern farm house design. 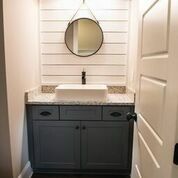 Sort of mixed the big front porches, and the nice finishes, sort of the shiplap look. Ken: It works, man. People dig it. Cory: That’s cool. That’s really cool. That’s going to be great, man. Something different and you’re good at it. You’ve gotten some great experience at it. Ken: It works well for us. Cory: Let’s talk about the Profit Master Investing Strategy. What’s really working well right now that you can share in your business, Ken, that’s just crushing it for you in Atlanta, Hotlanta? Ken: New construction honestly has been really good for us here lately. It’s one of those things where we’ve combined what we’ve learned as real estate investors in terms of finding off-market properties. The average builder doesn’t know how to send out postcard campaign or even put up bandit signs, search text records to find parcels to go after. We’ve had some good luck finding dirt to develop that other builders probably don’t know how to get. Then, you combine that with the ability to put together some money. Your small builders can do onesy-twosies, your large tech builders will go on and develop a hundred houses but there’s not many guys in the middle who, we’re looking to do a 25-acre subdivision, it’d be 19-20 homes, really nice finishes, 1-acre lot. It’s really a niche product. What’s working well for us is carving out this niche and building some really good margins but utilizing a lot of the skills that we built over the years being real estate investors to do that. Cory: What type of houses is it, that more of farmhouse style for those? Ken: From the outside it looks like a farm house. 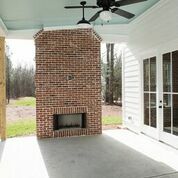 We have outdoor fireplaces, really cool living spaces. Very natural one-acre lots so people like it that there’s still a lot of trees. They get a little more privacy. 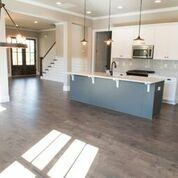 Not a ton of square footage, it’s a more of a focus on finishes than on square footage. Cory: Ken, would you do me a favor? Could you maybe send a picture of maybe of one that I can put in our show notes? Cory: That’d be great. I think people would really like to kind of see what that looks like. We’ll make sure that’s on the website so people can really get an idea. I’ve seen pictures from the Master Mind but it’s really—I think you’re onto something, man. I think you’re onto something. Very, very cool. What is a lesson that you’ve learned that’s really helped you to get where you are today? What’s a great lesson that helped you be successful in your business, Ken? Ken: I started this, 11 years full time and you can imagine starting in 2005 up until 2016, you think of all the changes that you’ve gone through as real estate investors, how much our industry’s changed. I look back and I feel like what I have learned to do over the years is adapt. I think if there’s one word that investors need to incorporate into the repertoire, it’s adaptation. Learn to adapt to the market you’re in because I feel like it is every other year there’s some big shifts that are happening underneath. If you’re not nimble enough and quick enough to adapt, then you get left in the dust in this business. You find yourself in a tight spot. For us, it’s reading those signs, what’s the industry doing, how’s the market changing, and then being able to make those changes, implement them quickly into your business to stay ahead of the curve. Cory: I like that. Adapting to the market. Learning, adapting so what’s working now may not work 12 months from now and you need to be okay with that so you can still do well. Ken: That’s one of the benefits of our Master Mind. We are all helping each other monitor the market and staying in that curve. Cory: Absolutely. I think Mike, Jake, and their talks about the Master Mind as his insurance policy. Ken: That’s right. That’s such a good quote. That is exactly right. Cory: He has many of them. But if you have to start all over again, what would be the one thing that you would change? What are some advice for someone that’s new getting involved with real estate investing? Ken: Just by nature of being in any business, you’re going to learn along the way. I’m sure I made plenty of mistakes along the way, but it was all a process of education and learning. Hiring like you said, we talked about it earlier, hiring contractors. 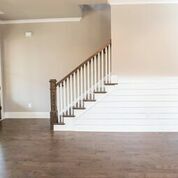 Making sure that you learned and bet your contractors. Learning to bet houses. The skills that you develop over time—I can’t go back—it’s not my thing to go back in time and say, “I wish I knew everything I know now,” because that’s not how life works. You learn as you go. I don’t have any big regrets. I mean, I like the way my career has progressed over the last 11 years but it’s been a series of lessons and education and then making shifts in my business as a result of that education. That makes sense. Ken: I think I was probably a little more swinging from the hip when I was younger, in my 20s when I got started. I’ve become a much more careful investor, more meticulous in evaluating deals. When you’re early on, you’re so hungry to do a deal. Cory: You just do anything, everything, and just getting the experience. Ken: Exactly. You just buy something. For now, I’m much more careful because I’ve learned over the years you can make a lot of money but you can also get stung on deals as well. I’m a much more careful buyer now than I used to be. Cory: I like that. It does. It’s just wisdom, wisdom of doing deals. I know many people talk about taking action. It’s funny as you get more deals, you kind of tell yourself, “What action should I take?” Not just taking action on everything, being a little bit more selective on the mass of action that you take. Ken: I actually got my master’s degree from Georgia Tech and one of my professors is a very well-known developer in Atlanta, and one of his sayings was, “Some of the best deals he ever did are the ones he didn’t do.” He learned over the years, you don’t jump at everything. You choose carefully the deals that you want to get into. Cory: I love that. I love it. What’s a favorite motivational quote that you just love? Ken: Well, I guess the quote that I try to tend to live by is just the golden rule, “Don’t do unto others what you do not want to have them do unto you.” I think that applies perfectly into business. The only way you maintain a solid reputation in this business is to treat others the way you want to be treated. Cory: I like that. Do you have books that you read a lot, Ken? Do you have one that’s really changed your perspective or changed your life? Ken: I do read. It’s funny, I know in our Master Mind there’s a lot of guys that just soak up business books day in and day out. I read some business books but it’s funny but I want to be a more balanced in what I read. If there’s one book I read every day, it’s the bible. When I get up every morning, to me, that’s going to be the most life changing book you will ever read. Every time you go to it, it’s like a well of living water. There will be always something for you to extract from that book. If there’s one book out there that I think is the most life changing book ever written, it’s got to be the word of God. In terms of a business book, the most recent book that I’ve read that I feel like has made changes in how I operate inside my business is The One Thing by Gary Keller. Cory: That’s a great book. Ken: It really changed my mindset on how I allocate my time and the whole idea of time blocking is huge for me in terms of my productivity. Cory: That’s great. I love that book. What’s the one thing? I’ve got 50 things to do, you’ve got one. What’s the one most important? It is difficult sometimes to decide what that one thing is, but there is one. Ken: We’re so motivated by cleaning out our inbox, or being reactive to what’s happening over the course of the day. It’s so easy to think you’ve accomplished a lot in a day because you responded to every email or you called everybody back. You might have accomplished nothing in terms of growing your business. Ken: You thought you were busy in accomplishing because your inbox was at zero. It was a good mind shift. Cory: It is. It was for me too. It’s a fantastic book. I highly recommend it. The One Thing by Gary Keller. I’ll put that in the show notes. Do you have a morning routine, Ken, that you go through every single morning? You said you read the bible. Are you pretty strict on your morning routine? Ken: I try to be. I get up and we have a little library off of our bedroom. I get in there and the dogs are up on the couch with me, I read my bible, I spend some time in prayer, thinking about the day and the dogs, they’re praying with me. Ken: I head downstairs and my kids are getting ready for school so I try to make them breakfast if I can, get them out the door. Then, I have a gym in the basement. It’s important for me to exercise, try to work out for 30, 45 minutes. Ken: Then stroll to work about 9:30. For me, my morning is more important than just about any time during the course of the day because it sets the tone for the day. Cory: What time do you get up in the morning? Ken: Not super early. I’m up seven. I’m definitely not an early morning guy. Cory: You’re not a 4:30, 5:30 guy. Ken: I can’t do it, man. I cannot do it. I would not function if I get up that early. Cory: Do you have some coffee in the morning as well? Ken: Yeah, I get coffee to wake me up. Try protein smoothie to help me going through the morning. Cory: Gotcha. You have two kids, or one kid? Ken: I’ve got an eight-year old, and then twin five year old. They are up bright and early usually and they’re asking me what’s for breakfast. That’s the thing, in our business to have the flexibility to make your kids breakfast and get them off to school. So many of my friends, they left for work at 6:30 in the morning, they never saw their kids. That’s what you carve out when you run your own business. It’s the quality of life that you can be around your family. Cory: I love it, man. That’s powerful. Plus, I know this is probably not necessarily the time to go into the depth of it but you’ve got a pretty big scare with Rocco which he was diagnosed with cancer at a young—how old was he when it happened? Ken: He was just about four. Cory: Four. I just can’t even—I remember seeing that—we have a lot of people that were in prayer for him. Thank God everything has been great now. It’s almost like it never happened. No relapse, nothing like that. I went through cancer myself. I was really sensitive to that. Man, it’s just awesome to be able to spend that time with your kids in the morning but also be able to—I know that time you just had to take off of life really, but take off work and everything. But your business continued to run which is incredible. Even to some, I think at one conversation you said it was almost doing better without you directly involved in some parts of it which is just incredible. I’m so glad that that part of your life has elapsed and everything is okay with Rocco. Ken: I appreciate that. As you well know, having gone through it yourself, it will change your perspective permanently on life. Cory: It will, yes. I know you shaved your head for him. That’s pretty intense, man. But what doesn’t kill you makes you stronger. Cory: Do you get eight hours of sleep a day? Ken: I do. I’m a big dude. I don’t know if you know this, 240 pound for whatever it is, I’m a big guy that likes a lot of sleep. Cory: Are you 6’8”? How tall are you? 6’7”? Ken: I just have a lot of sleep. I always have. If I don’t get enough, I don’t function well. I just know that about myself. I am intentional about my sleep. Cory: You do get eight hours? Ken: Eight to nine. I’m careful about my sleep. Cory: Eight to nine, nice. That is great. Ken: Depends on what was on TV on the night before. Cory: What are you most grateful for? I know you’ve been through a lot of things but what is it that you’re most grateful for? Ken: I’m thankful for a lot of things. You and I, all of us, we’re so truly blessed. Ken: I’m super thankful for my wife. She is an unbelievable partner, supporter, and encourager. A good wife is worth more than any amount. Cory: More than rubies and gold. Ken: That’s right. It’s so true. She supported me when we launched the business. She continues to encourage me in the business. Now she’s walking alongside of me through this TV show here, all the while doing an amazing job with our kids and even home-schools one of our daughters. She’s just unbelievable. Ken: I’m truly thankful for her. What point do you recommend hiring a coach and how important has that been to your success where you are today? Ken: I’ve never hired a business coach myself as of yet, and it’s one of those things that I actually looked at pretty darn closely here in the last year. I am a huge proponent of seeking out wisdom. There are always people farther down the road who have more levels of wisdom that you can extract from them. I try to meet with people, especially in my church community and whatever life wisdom or business wisdom I can. For example, I have a lunch setup next week with one of the top developers in Atlanta, he’s a Christian guy who I know will impart a lot of wisdom to me on what we’re doing. I wouldn’t necessarily consider mentor because it’s not like a regular meeting thing but to me extracting wisdom from those guys that are further down the road is super important to just be a well-rounded person. Cory: That’s great. I think it’s just seeking out people that may have made mistakes and then they can tell you, “Hey, don’t do that because it’s going to be expensive, or there’s a better way, something that you’re not thinking about.” I think it’s important as well too. If you had to summarize it, what or why do you what you do? What gets you out of bed in the morning? Ken: That is such an open-ended question because it answered so many of our ways. To me, people ask what’s the meaning of life, this is something I go back to. Why do I what I do, what’s my purpose and I go back to the Westminster Shorter Catechism which is to glorify God and enjoy him forever. I try not to get caught up in just living a life that’s about building a business or making more money or becoming successful by the world’s standards. To me, ultimately at the end of the day, life is temporary. Ken: Riches are temporary. I want to do everything I can in this life to glorify God no matter what I’m doing. Whether I’m flipping real estates or flipping burgers. Cory: That’s good, man. That’s solid. I totally agree, man. I think that this life is temporary and it’s so easy to get caught up in the minutia of the day-to-day and almost have those things define who you are. The cool thing about having a relationship with God is that that defines who you are even if you don’t have such a great day. We’re just talking about it before we got on here, challenges throughout the day that you have for being an entrepreneur and doing deals, it might be something that takes a lot of people out because it gets so hard sometimes to get so many darts thrown at you because you’re a target But because you don’t let those things define you and you create space between you and the thing, that’s the difference I think. Whenever you have that ability to be able to go, “God, show me what to do. Help me do something.” When you said you spend your time in the morning with prayer, prayer obviously is also a form of meditation, it’s just who you’re praying to. In the Christian relationship with God, it is so important because you are defining who you are outside of the things of what you do, those other things that happen to you, success happens to you, all these other things, that doesn’t define who you are. I think that is important. I’m so excited to see these things happening to you because I know that success is a magnifier of what you already are. If you’re a person that’s stingy, and doesn’t help people, and not serving people and then you get a bunch of success then you’re going to be a bigger magnifier of being more stingy, more selfish, not helping people, not being a good person. Helping people, serving people at a small place, and then when you get to magnify and get success you’ll be able to do more of it. I’m so excited to see you impact more people’s lives, man. Ken: We appreciate that. We’re thankful for the opportunity. With success and opportunity is also a lot of responsibility, so we feel that as well. We’re blessed that there’s an opportunity. Cory: That’s important, man. There’s accountability with that, for sure. How can we serve you? What can we do to help you? I know that the HGTV is really important right now so I must say it again, it’s May 12th, HGTV, 11PM Eastern Standard Time. That’s kind of late so make a commitment to plan for it. If you have kids or something, it’s not like it comes up so make sure you plan on that. Help and support Ken on that. What else can we do to help you with? You have a podcast which is going great, that’s called The Deal Farm podcast. It happened to be right there next to you on the wall. The people that are listening are like, “What’s on his wall? Can’t see it.” The wood panel on his wall, it says Deal Farm Podcast, very subtle for his promo here. Cory: We’ve got a lot of same folks that are on his podcast, the same ones that are on my podcast. I love the fact that you really get into just really a candid story, I guess I’m a little bit more original and asking a lot of the same questions because I know a lot of people want to know those things and I tend to just kind of go off into another direction if I don’t have that structure but I really like listening to some of your podcast on there and I get that conversational tone. I really like it. 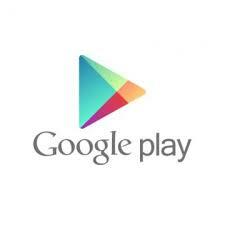 Check out Deal Farm podcast with Ken Corsini. We’ll have that on the show notes, Ken. 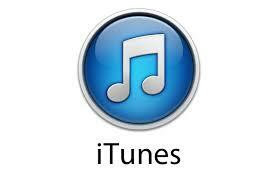 We put your link to the iTunes where they can go in and subscribe. Do you have another link that they can go to or anything like that, that will help the HGTV let them know that they’re supporting you? Is there anything else that you can send over that you have that maybe someone can share with their friends or something like that? Ken: We can send that Facebook post. It’s a public post so they can absolutely share, let that thing go through the social media network, some circles, we can put that on the show notes as well. Cory: That’d be great. That sounds good. Make sure you send that picture of those farm houses, modern farm houses. I love the concept. Cory: Awesome, man. You got big things happening, it’s coming up here pretty soon, a couple of weeks. Ken: It’s funny, it’s like hurry up and wait. We’ve been waiting and waiting and waiting and re-editing and then all of a sudden, bam, two weeks out, it’s coming. Ken: All of a sudden it’s getting real. Cory: I’m switching around this up on who we have here on our line up for you to make sure they’d get this out. Just want to make sure you have as much support we can give you. Ken: I appreciate that, you have been a huge supporter, Cory. I really, really do appreciate that. Cory: I appreciate you too, man. It’s an honor to be able to support someone that’s doing a lot of good. You are my friend and it’s awesome. I love your attitude, I love everything you’re doing, love how you’re helping people and serving them and being able to create that podcast is great too. I know that was one thing that you just had an idea about and look now, I think you are over 100 episodes. I mean, it’s crazy. Ken: It is fun. I’m sure you get this too. It’s fun talking to people. I am way more loosey-goosey conversation just because it’s the same conversation I would have if the mic wasn’t rolling. I just want to get to know somebody and what they’re doing and how to have what they’re doing. I really enjoy talking to those people. Cory: I love that, man. You’re so much better at it than me. I tend to go off then we’ll be on there for two hours. Man, I appreciate it. Remember to be on our next podcast because we’re going to bring on another guest that I think that you’re just going to really be blown away on what he’s doing. Make sure you tune in for that, a little mystery for you. Make sure you go support Ken with Flipping the South, it’s going to be a monster hit but it won’t be unless you and other support what they’re doing so it could be picked up as a regular airing and then you can say, “I remember, I heard that guy Ken on Cory’s podcast. I remember when.” Then, Ken will remember all the little people. Alright, I’ll talk to you later, Ken. Ken: Thanks so much for talking. Cory: Remember, be a servant. Talk to you guys later, bye now! Name some folks I should get on the show! Hit me up: support@realestateinvestingprofits.com and I’ll do my best to get them on.